'Urban boosterism' is defined as the active promotion of a city, and it typically involves large-scale urban development schemes—constructing iconic new buildings, revamping local infrastructure, and creating a new image for the city. For long a popular tactic of free market liberals, used to justify speculative building, the logic of urban boosterism hinges on freedom of movement of both capital and individuals. Curiously, though, it is increasingly at work in settings less committed to such freedoms. Urban planners in authoritarian countries are increasingly seeking to create new images for their cities and states through grandiose urban development and the hosting of major international spectacles, such as World Fairs, Olympic Games or the World Cup. As citizens and their leaders in liberal democracies grow increasingly fatigued by—and intolerant of—the skyrocketing expense of hosting such spectacles, leaders in non-democracies have been quick to pick up the slack and are beginning to win first-tier event bids (like the 2008 Beijing Olympics; the 2014 Sochi Olympics and Russia’s 2018 World Cup; and Qatar’s 2022 World Cup). While urban boosterism in liberal democratic settings is also used to solidify the position of 'growth machine' elites, the unprecedented $51 billion price tag for Russia’s Olympic Games in Sochi shows that resource-rich, non-democratic states are positioned to develop such projects on a dramatically larger scale. The 'Sochi syndrome' is a sign of what we can expect as more and more non-democratic, illiberal states host these events, as illustrated by the cases of Azerbaijan, Kazakhstan, and Turkmenistan. According to Freedom House, in its classification system, these rank among the world’s least free countries. Boosterist agendas in Baku, Astana, and Ashgabat serve two related purposes—to distribute financial and political patronage, and to promote a positive image of the state for both international and domestic consumption. While many post-Soviet cities have experienced significant decline since the 1990s, Baku, Astana, and Ashgabat have stood out as regional exceptions in the years since the demise of the Soviet Union. Drawing on the tremendous resource wealth they inherited, independent state planners have overseen ambitious transformations in their capitals. 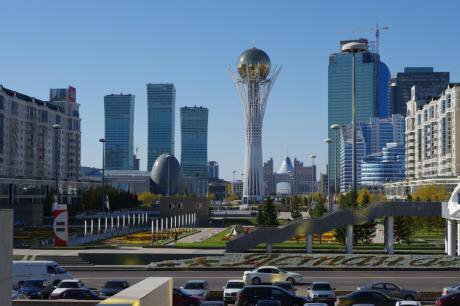 Astana became the new capital of Kazakhstan in 1997, and the scale of government investment has since stunned international observers and citizens alike. Azerbaijan, Kazakhstan, and Turkmenistan are like other rentier states around the world, where infrastructure development is inextricably linked to (more and less official) patronage practices around the exploitation of natural resource reserves. This phenomenon is especially visible in the capitals, where construction and development contracts are a favourite conduit for these relations. For example, although much of Astana’s new urban infrastructure has been officially sponsored by the government, it is normal business practice in Kazakhstan for private companies to develop local infrastructure. Indeed, Astana’s earliest phase of construction was funded through various 'contributions' that were solicited from various oil companies, which were viewed as deal-sweeteners to win favourable terms in any future contracts. Patronage practices aside, the symbolic dimensions of iconic urban development offer important insights into how these political and economic practices are made legitimate in the public sphere. Elites actively frame the boosterist development in their capitals as a sort of 'business card,' advertising their new orientations in the post-Soviet era as 'reformed,' 'modern,' and 'competitive.' For example, Ashgabat's government website hails the city's many new developments as the result of President Berdimuhammedov's 'political will, diplomacy and distinguished organisational skills'. Using such flowery rhetoric, the allocation of state funds is justified on the symbolic grounds of needing to impress ‘the world.’ Nevertheless, finances still matter. However, the question we must ask is not whether ordinary citizens benefit, but more generally: who benefits? 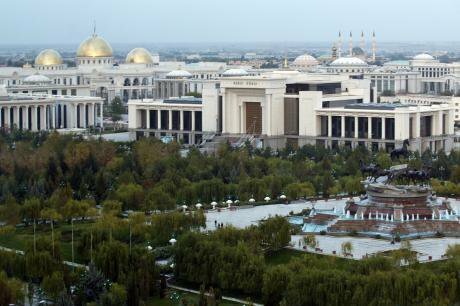 Urban boosterist development most directly benefits the top elites in Azerbaijan, Kazakhstan, and Turkmenistan, and, in many cases, a select group of well-connected foreign firms and individuals. Infrastructure developed for international spectacles makes this particularly apparent because the facilities have an extremely limited public use—despite the narrative that they are 'for the people.' The people, however, will never recoup the funds their governments spend on such tremendous facilities. 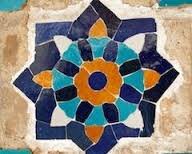 Yet across Central Asia an increasing number of major iconic sporting venues are going up, and planners in Baku, Astana, and Ashgabat have been vigorously pushing for more events, which they see as ideal conduits for diffusing positive images of the countries’ development agendas. Despite the immense sums of money spent, construction standards in Astana are not always of the highest quality So far, planners in the region have not been able to win bids for first-tier mega-events. Instead of waiting, however, they have used the boosterist 'build it and they will come' approach to justify the investment of extraordinary sums of money into second-tier events. These events, they argue, are stepping-stones for developing the infrastructure and gaining the experience required to compete for first-tier mega-events. This narrative was clearly at work in Kazakhstan, for example, when it hosted the 2011 Asian Winter Games in Astana and Almaty. Early reports suggested that the government allocated $726m for the construction and renovation of facilities, but the figure was more likely in the range of $2 billion. Similarly, figures for the EXPO-2017 (a second-tier World’s Fair) suggest that the government will spend approximately $2.3 billion, although this is likely to be a gross underestimation. Such extraordinary sums for second-tier events have clearly shown elites the power of the boosterist logic. In Kazakhstan, as in the other countries, the president harbours ambitions to host the Olympic Games (indeed, Almaty is among the two remaining contenders for the 2022 Winter Games, but critics are suspicious of its viability). Elites are able to leverage this ambition, together with the government’s long-term effort to develop Kazakhstan’s international prestige, to promote boosterist development. In the case of the country’s new multi-million dollar sporting facilities, however, the results are far more symbolic than functional. Most buildings around Astana look fine from afar, but upon closer examination they uniformly reveal serious flaws in design, engineering, workmanship, and materials. The Saryarka Velodrome, for example, was 'completed' for the Asian Games in winter 2011, but the site was in complete disarray by the summer: much of the exterior was incomplete, building materials were strewn about, and exterior roof-support beams were already broken or falling down, leading to concerns about whether the poorly-designed roof would withstand Astana’s heavy snow. Although there is widespread awareness of the low construction quality among Astana residents—those who must live and work in these buildings—their opinion is clearly of little concern to decision-makers. Developers and planners are far more preoccupied with the structures’ appearance from a distance, and its ability to deliver the desired visual image demanded by state procurement officials: as long as photographs of facilities from afar look nice, developers are positioned to make large sums of money by keeping construction costs down. 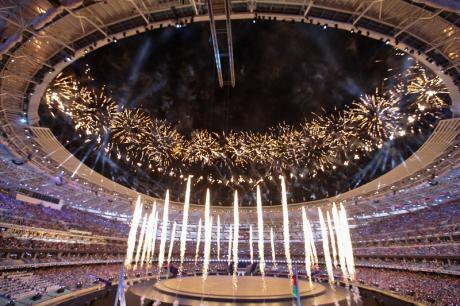 Planners in Baku and Ashgabat have also pursued opportunities to host international sporting spectacles. As in Kazakhstan, these are largely second-tier events, for which officials have justified mammoth investments through the same 'stepping stone' narrative that says one day they will host first-tier events like the Olympics. This is amply illustrated in Ashgabat’s new 157-hectare Olympic Complex, under construction for the 2017 Asian Indoor and Martial Arts Games. The complex includes the expansion of the Ashgabat Olympic Stadium, which was built in 2003 for 35,000 spectators, as well as the construction of a velodrome, including indoor and outdoor arenas and sports fields, a medical centre and a hotel. As long as photographs of facilities from afar look nice, developers are positioned to make large sums of money by keeping construction costs down There is little reason to believe that these grand new facilities will be used to any extent that might justify their cost, but this is of little significance to planners who are not operating on a strictly neoliberal market rationale. Since the state is funding their development without an eye to popular demand and income generating potential, contractors and other actors commissioning these projects are most interested in making a great deal of money by developing these iconic facilities, regardless of their illusory profitability in the long-term. So while elites themselves profit in the short term, they are not held accountable for the hollowness of their claims of future pay-offs 'for the people.' Their profits are already secured, and they face no danger of being voted out of office. The official opening ceremony of the European Games in Baku. Photo (c) Aziz Karimov via Demotix Urban elites in Azerbaijan have also sought to position Baku as a major city, ostensibly seeking first-tier mega-events but mostly slated for second-tier events, such as the 2012 Eurovision song competition, the 2015 European Games, the Formula 1 European Grand Prix from 2016, and the 2017 Islamic Solidarity Games. As in the other two cities, the hosting of sporting events in Baku is understood as having longer-term boosterist potential—not just the site of global spectacle for a month, but also an ideal opportunity for the 'growth machine' elites to promote their real estate development schemes and various other business interests. In fact, Baku’s business elite has long maintained a tight grip on the country’s Olympic Committee and other sporting organisations, which are seen as a rich source of potential profit and international prestige. The Crystal Palace, for example, was specifically built for the Eurovision contest, at a cost of $350m, while the city’s newly opened national football stadium, capable of seating 68,000, had an impressive $300m price tag. Estimates suggest that the government spent around $8 billion overall on preparations for and hosting the European Games. As with Astana and Ashgabat, these investments have been strategically accompanied by a narrative of Azerbaijan’s modernity and its rise to international prominence. In the capitals of Azerbaijan, Kazakhstan, and Turkmenistan, patterns of development are made possible by resource-based economies and elite-dominated patronage patterns common to rentier states around the world. In anchoring development around international mega-events, state and city planners in Astana, Ashgabat, and Baku are able to draw on the credibility of a global discourse about boosterist development, justifying speculative building that functions locally as an important means of enriching top officials and distributing patronage. The symbolism of an internationally-esteemed capital city is central to understanding how elites have been able to use these projects in their state-making efforts—using resource wealth, officially and otherwise, to cultivate the credit for transforming the country and setting it on track for a new era of modernity, all the while painting the three capital cities’ development as a 'gift' to the people from the state. The use of urban boosterism narratives in the absence of a neoliberal logic of freedom is far less paradoxical when it is viewed as a set of opportunities to both distribute elite patronage and engage in domestic and international 'branding.' Although the resource-rich states of Azerbaijan, Kazakhstan, and Turkmenistan have mostly only seen second-tier events, they nevertheless illustrate that the Sochi syndrome is afoot in Central Asia. This article was originally published by our partners PONARS Eurasia as Policy Memo 371.